The Seattle writer, a much-lauded National Book Award finalist whose tales were inspired by his Montana childhood and the hardworking ethos of the West, died Thursday at age 75. Ivan Doig, an award-winning author of 16 books, died Thursday in his Seattle home after a long illness. He was 75. Mr. Doig was in some critical ways much like the ordinary heroes he wrote about, the ones who got up each day, worked hard and did the best they could with what they had, said his widow, Carol Doig. Mr. Doig’s last four novels — including “Last Bus to Wisdom,” which will be published in August — were written after he was diagnosed with multiple myeloma eight years ago, according to Glory Anne Plata, senior publicist at Riverhead Books, which published some of Mr. Doig’s books. Mr. Doig, an only child, was born on June 27, 1939, and grew up along the Rocky Mountain front in Montana, where many of his stories are set. His mother, Berneta Ringer Doig, died when he was 6 and he was raised by his father, ranchhand Charlie Doig, and his maternal grandmother. Propelled by encouragement from a number of teachers and eager to pursue a career more promising than his father’s, Mr. Doig earned a full ride to Northwestern University where he earned his bachelor’s and master’s degrees in journalism. It was there, while he was teaching a summer journalism program, that he met the woman who would become his wife and partner. Red-haired and blue-eyed, Mr. Doig was not dashing in a traditional sense, but he caught his fellow teacher’s eye nonetheless. He was solid and grounded and hard-working and no-nonsense. He believed in fairness and that everybody should get a fair break. He did not put on airs or strut around even once he’d made a name for himself, she said. “He was the kind of guy you could depend on, and I did for 50 years,” she said. Mr. Doig worked at several newspapers, including one in Decatur, Ill. — where he said he came to understand John Keats’ phrase “amid the alien corn” — but found that he was drawn to writing books, according to one of his posts on his website. He and his wife moved to the Seattle area after he was accepted at the University of Washington, where he earned his Ph.D in history. Carol Doig, also a graduate of the Medill School of Journalism, worked for The Herald of Everett and taught at Shoreline Community College. She also helped research and edit her husband’s books. Plata said in a news release that Mr. Doig believed that ordinary people deserve to have their stories told, and he did that in fact and fiction, beginning with “This House of Sky,” a memoir of his own upbringing in Montana. The book attracted a wide readership and was a finalist for the National Book Award. He later wrote a second memoir, “Heart Earth,” which his widow described as his most-overlooked book, and another work of nonfiction. But it was for his painstakingly researched and historically accurate novels that he won enduring readership and acclaim. An early novel, “The Sea Runners,” told the story of four indentured servants escaping Russian Alaska in the mid-19th century. Two late novels, “The Bartender’s Tale” and the yet-to-be-published “Last Bus to Wisdom,” were inspired by his childhood and came as close to autobiography as Mr. Doig ever got in his fiction. In them, he writes of his father’s habit of taking him along to the saloons where he liked to hire on haying crews; of losing his mother and being raised by his father and his ranch-cook grandmother. Those novels, as well as “The Whistling Season” and “English Creek” are among Carol Doig’s favorites. She said her husband was never without his notebook and woe to anyone who believed a conversation held near him was truly private. 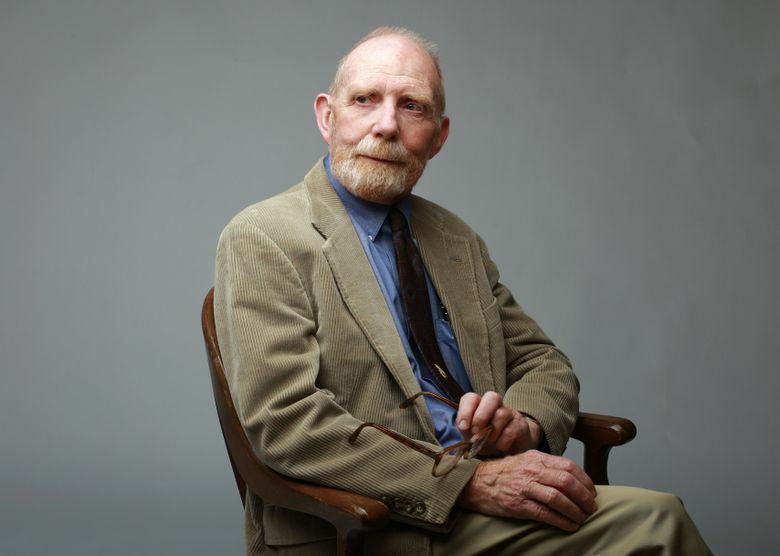 “Ivan Doig has been, from ‘This House of Sky,’ his first grand entry into literature, one of the great American voices, full of grace, abounding in humanity, easeful in narration, hypnotic in pace, grand in range,” said Australian novelist Thomas Keneally. Mr. Doig’s work earned him comparisons to Wallace Stegner, from whom he inherited the informal title “dean of Western writers.” Indeed, the Center for the American West gave Mr. Doig the prestigious Wallace Stegner Award in 2007, for “those who have faithfully and evocatively depicted the spirit of the American West,” and he was the recipient of the Western Literature Association’s lifetime Distinguished Achievement award. He is the recipient of more awards from the Pacific Northwest Booksellers Association than any other writer, among numerous other honors. Mrs. Doig said that her husband did not want a memorial service. “He preferred to let his work stand on its own,” she said.